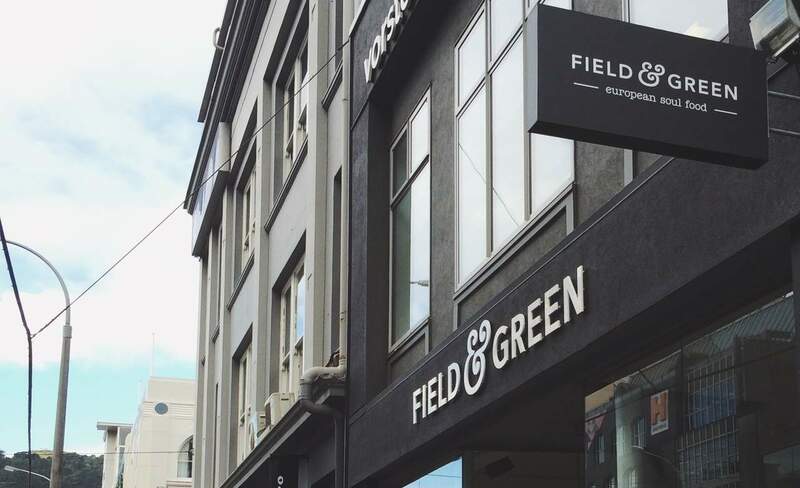 Field and Green is a welcome new addition to the upmarket Wellington dining scene. Owners Laura Greenfield and Raechal Ferguson have recently arrived back from London, bringing with them their own brand of “European soul food”. The space is beautiful, with well-curated art echoing Laura's background as head chef at Sotheby's Cafe. On a recent visit, my friend and I found ourselves surrounded by tables of ladies who lunch, darling. Having taken our orders, our attentive waitress delivered a generous slice of house-baked sourdough with salted butter. This, naturally, lead my friend and I into a thorough discussion of the many virtues of well-used salt. As luck should have it, it appears that Field & Green shares that appreciation, with salted cucumber and mint Six Barrel Soda on the drinks menu and their, wait for it... homemade peanut butter, chocolate and salted caramel ice cream ($4 a scoop) on the dessert menu. As our visit unfortunately coincided with a pretty gluttonous 24 hours, I kept things simple, ordering the salmon and dill mousse with a fennel and golden raisin scone. The scone was fresh out the oven, with a perfect fluffy:crisp ratio, and the luxurious spread of mousse was paired brilliantly with the light sweetness of the scone - a flavour combo so exciting it has been playing on my mind more than my last Tinder date. Meanwhile, every single item being whisked by inspired radiating pangs of food envy, and word on the street is that the recent kedgeree is a tough one to beat. The menu changes on a weekly basis, so while you aren't guaranteed to get a chance to sample any of the above, you are guaranteed to get a meal created with the best, fresh local ingredients, brought together with thought and skill.